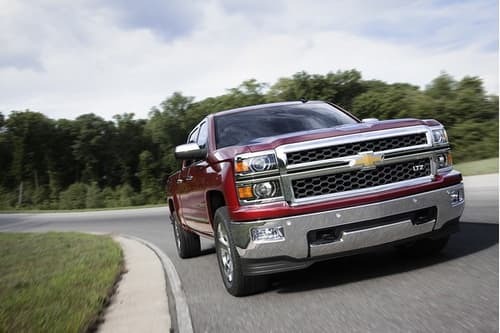 The Chevy Silverado truck is redesigned for 2014. While the outward appearance may not be much different, car critics and experts say there have been a lot of refinements in many areas that should make truck owners very happy. It may still not be the best truck on the road, but reviewers are calling it the best Silverado so far. The frame is lighter and stronger, which helps with the quiet ride, whether it is in the crew cab or the double cab. The interior is also getting good reviews. It is a more comfortable ride, and easier to drive. The dashboard is easier to see and is more intuitive by design. The steering wheel is a bit larger and easier to handle. Reviewers are saying these these changes make the vehicle fun to drive without compromising on its ability to be a solid work truck. A big Chevy truck like the Silverado is not expected to get great gas mileage, but a system of cylinder deactivation allows one to drop the V8 to a V4 when not hauling anything, and that boosts the gas mileage. A new direct-injection fuel system also helps with engine efficiency. People are praising the 5.3 liter V8 that cranks out 355 horsepower and 383 foot-pounds of torque, or pulling power. That’s 40 more horsepower than what it had last year. The only drawback is it comes with only one option for a transmission – a six-speed automatic. Insiders say there may be more options coming before the first year ends. Reviewers are also happy about the price tag on the 2014 Chevy trucks. There are a lot of refinements to the vehicle, and it is a much nicer truck, but the prices are about the same. Prices range from about $25,000 for a regular cab to $33,000 for the crew cab. Options can affect the price, but reviewers say they are moderately priced. While it is not a perfect truck, it gets good reviews for at least making progress and becoming a better truck.